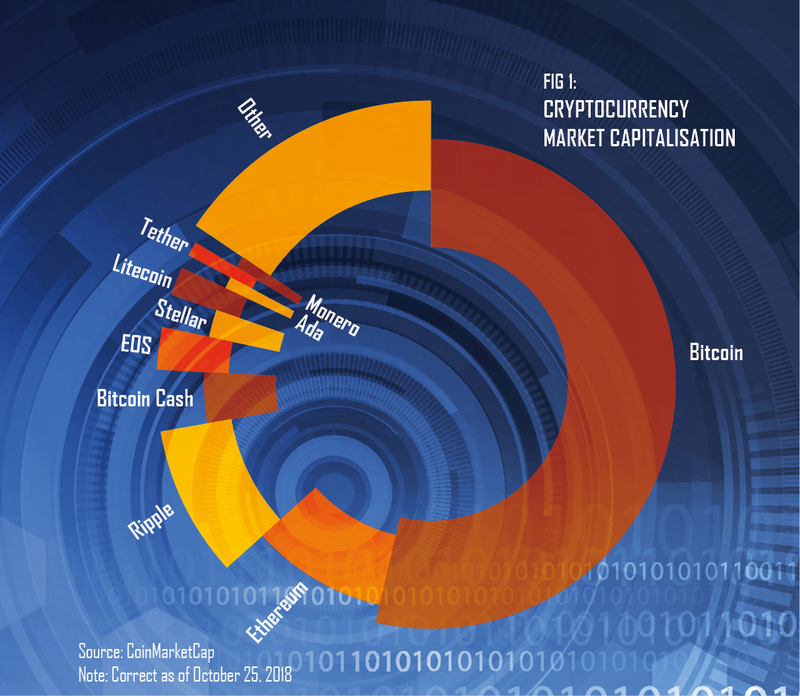 Cryptocurrencies have taken the world by storm – disrupting various markets, promising a decentralised financial system and creating an investor subculture. But as well as inspiring technological and financial revolutions, cryptocurrencies have represented a widespread desire for change. “The origin was most likely the global financial crisis in 2008, when people began to seek additional solutions to their economic stability,” explained Yuki Terai, Head of Japan for IronFX Group’s new cryptocurrency exchange, IronX. In the decade since, cryptocurrencies have presented themselves as an increasingly viable candidate to be this additional solution. While 2017 was undoubtedly the year digital currencies entered the mainstream, 2018 witnessed great developments in this burgeoning market. Recent advancements have allowed for the creation of new blockchains and coins, diluting the once-mammoth market share held by bitcoin and Ethereum. The infrastructure and regulatory framework around cryptocurrencies has improved significantly over the past year, too. IronX is a joint venture between Hong-Kong-based EmurgoHK – the developer behind distributed computing platform Cardano, which runs the blockchain for Ada, the eighth-largest digital currency by market capitalisation (see Fig 1) – and the IronFX Group, a global leader in online trading. Having joined IronX as Chairman to the Advisory Board, EmurgoHK co-founder Kenji Sasaki brings a wealth of knowledge about blockchain and cryptocurrencies to the project. IronFX, meanwhile, provides a customer base of 1.2 million people from more than 180 countries, as well as tradable instruments in forex, spot metals, futures, shares, spot indices and commodities. With the aim of creating an optimal platform that is easy to use for both new and experienced traders, IronX leverages IronFX’s best-in-class banking and payment solutions, as well as its client-orientated features and efficient customer service. “The symbolism of the brand represents the strength and security of iron metal, while the ‘X’ comes from ‘exchange’, which is the core part of our vision – to create a regulated, service-focused exchange that facilitates funding via both crypto and fiat currencies,” Terai explained. The exchange platform also rests on IronFX’s vital resources, which, in addition to the aforementioned global customer base, include multijurisdictional licensing and long-standing expertise in the running of complex, multinational operations. Today, initial coin offering (ICO) investors are careful to examine the business case and roadmap of any new blockchain venture. In the early ICO rush, however, start-ups and blockchain companies were able to successfully raise millions of euros to fund the development of new technology platforms that did not exist yet. In fact, to this day, many of these platforms still do not exist. To this end, IronX plans to utilise its native token, IRX, as the central coin for its platform. Fees paid in IRX tokens will carry a substantial discount on the exchange, incentivising frequent traders to use the cryptocurrency for all payments and transactions. IRX token holders will also be able to explore additional benefits among the group’s other companies, such as discounted fees, higher leverage, trading bonuses, VIP account status, personal customer support services and more. However, the penetration and success of any digital coin varies depending on the market conditions. While some countries have become global advocates of cryptocurrencies, others have actively banned them – and there are many shades in between. “The most notable disrupter is Japan, which passed a law accepting bitcoin as legal tender in 2017,” Terai told European CEO. That said, there has been a slowdown in the launch of tokens, which Terai believes demonstrates that the sector is “growing up”. Early altcoin investors have also started to pull their investments from tokens with unutilised products and from platforms that are still not built. As a result, more knowledgeable investors – and developers themselves – are approaching new blockchain ventures and token models with far more scrutiny than they have in the past. One of the biggest challenges facing the industry is creating a shared digital market that fully complies with EU rules. “I believe that a significant opportunity exists in improving the current status quo of the financial system,” Terai said. Given recent efforts to crack down on money laundering and fraudulent behaviour in financial systems, it is no surprise that digital currencies embody a certain level of threat for institutions and individuals alike. This, combined with a lack of experience in the field and a fear of the unknown, is holding back numerous would-be investors from exploring this exciting nascent market. To help tackle these issues, IronX turned to Estonia for its regulated exchange licence. The Eastern European country has long been recognised for its high level of governance and pro-innovation approach to the advancement of distributed ledger technologies and cryptocurrencies. Indeed, since early 2012, Estonia has utilised blockchain technology in its health, judicial, security and commercial code registries. It was this fact, coupled with the country’s full EU membership, that attracted Terai and IronX to Estonia. And with IronFX Group’s years of experience in regulated online derivative and commodity trading, the Estonian Financial Intelligence Unit showed no hesitation when granting the exchange regulatory approval in September. 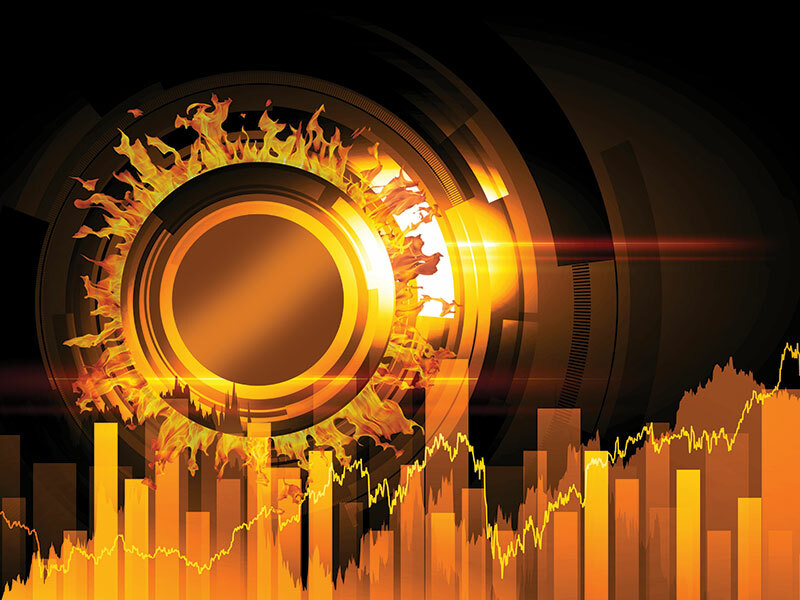 As a regulated exchange, IronX helps to increase both the adoption and awareness of cryptocurrencies, leading to a more efficient, secure and better-serviced trading environment. “Being awarded regulatory approval was one of our business milestones,” Terai told European CEO. As the market continues to mature, the number of traditional investors turning to cryptocurrencies will only increase. Reassurances stemming from greater regulation will spur this growth further. Given the current backdrop of the cryptocurrency market and IronX’s key differentiators from other exchanges, the company finds itself in an exciting position. With a loyal customer base that stretches around the globe, the platform is now working on its geographic expansion. “There is extensive opportunity to explore beyond Europe,” Terai said. One continent that shows great potential is Asia, in which IronFX Group already boasts a strong following and where there is a massive demand for cryptocurrency trading. The team at IronX is also keenly observing regulatory developments around the world to make decisions regarding licences in new territories and jurisdictions. “Market sentiment can shift very quickly, particularly when regulators take a narrow stance towards cryptocurrencies, so it’s important to be ready,” Terai said. Soon, IronX will be naming its CEO, who will be tasked with driving the platform’s global brand development. The company is also set to announce several high-profile strategic partnerships over the coming months. “These [partnerships] will be centred around the realisation of our new exchange and aim to create the best possible infrastructure and trading platform for our customers,” Terai said. With the backing of IronFX and EmurgoHK, IronX will offer traders the opportunity to enter the burgeoning cryptocurrency market safely – guarded by regulatory compliance, trading experience, proven infrastructure and financial liquidity. Through such a platform, the springboard for the digital generation is set; 2019 may well be the year cryptocurrencies become a part of everyday life.